In one of my very first posts, I mentioned my cooperating teacher my first year at Aspen Elementary was Mrs. Linda Lewis. She was an amazing teacher, and had so many great art projects! This was one of them. 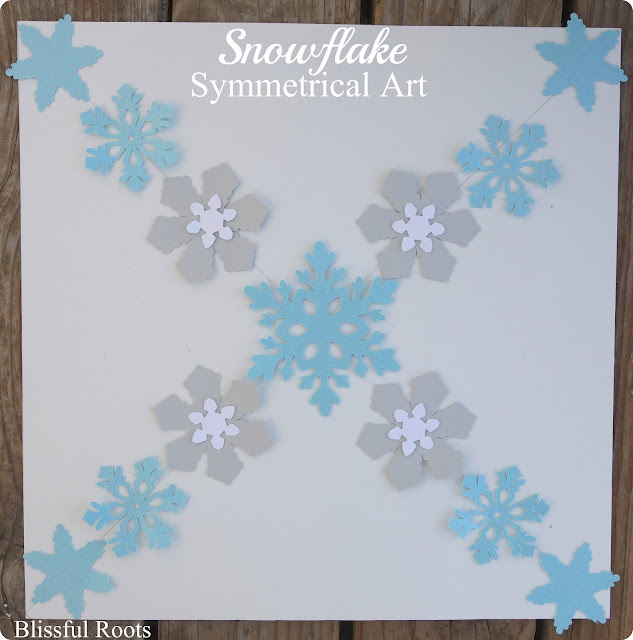 It not only involves art, but symmetry as well. We did it for Valentine's Day (using hearts) when I taught, but the end result is always so stunning that I had to adapt it for other holidays. Here's a winter version for you. *Cut out your snowflakes (mine range in size from 1- 3 inches). *Draw a large X on your card stock using a pencil and yardstick. *Then, the fun part! 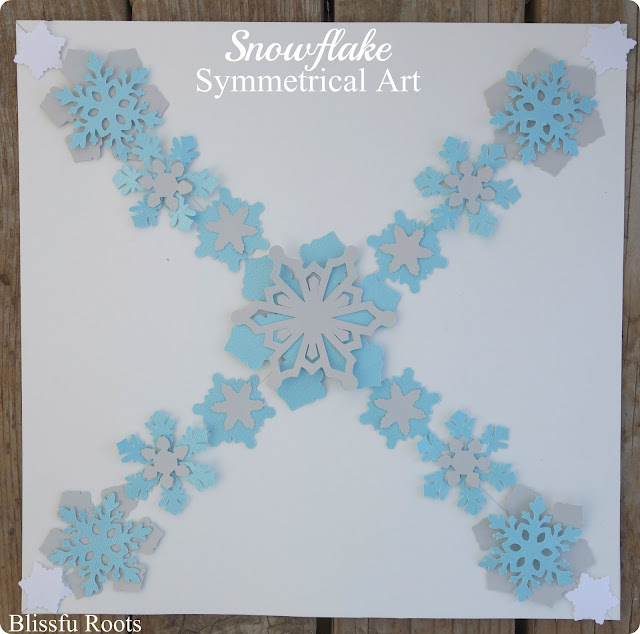 Lay out your snowflake design on the penciled X. It's fun to play around with the different configurations and layering. 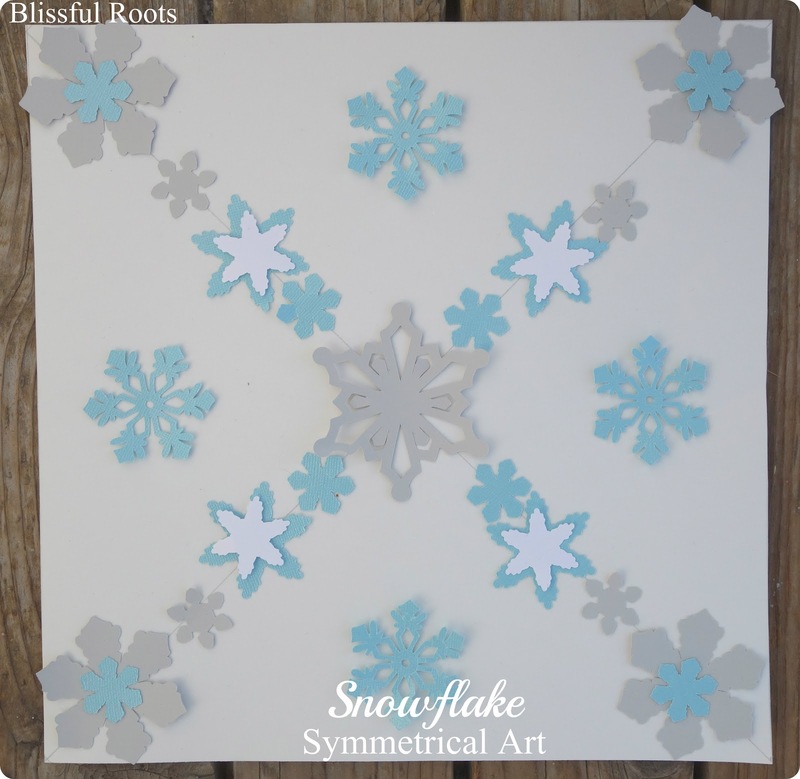 I usually start with a larger snowflake in the middle and work out from there. Remember to keep it symmetrical. *When you're happy with your design, glue all your snowflakes into place. You can adapt the size and color of your paper and snowflakes to make this project much bigger, or smaller. Experiment and see what you like. The one below is what my six-year-old twins came up with. Be sure to check back next month for the Valentine's Day version of this project. Great ideas.First time I am visiting this blog. I found so many interesting stuffs in this blog.I like your writing style and presentation.Thank you so much for sharing thee ideas. لا تحافظ أسراب النمل الأبيض على أجنحتها لفترة طويلة. بمجرد إلقاء أجنحتها ، يبحثون عن أماكن لبناء أعشاش جديدة.